Here are some of the questions we are frequently asked by potential franchisees. Our commitment is to answer your questions, not only today but everyday! Don't be shy...reach out to us at any time and we'll be happy to help you understand more about what makes us the leading franchisor in the industry. You'll be pleasantly surprised by the level of responsiveness and insight you get when working with Streamline Brands. How Do I Open a Franchise? Simply start the process of learning more about our concept by filling out the inquiry form. We are actively seeking highly-qualified individuals to become franchisees. 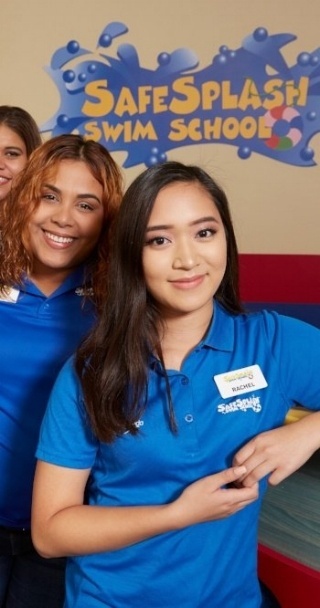 Prior business experience (but not necessarily swimming experience), coupled with a passion for customer service, a passion for kids, financial acumen, individual motivation, and a track record of success are important factors in our evaluation process. Do I Need Prior Swimming Experience? 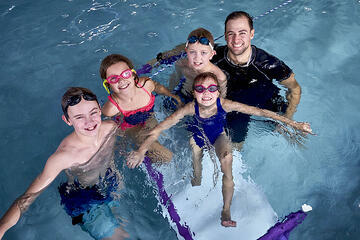 No, swimming experience is not a prerequisite for our franchisees. You will recruit local swimming professionals to help you run the facility. However, we do require our franchisees to be passionate about customer service, kids, families and teaching children a life skill that will make a positive impact for the rest of their lives. • Annual franchisee and manager conference, which brings franchisees together to train and share ideas on new industry topics. We can also provide additional franchisee and manager support for your team or for new members of your team at any time, at your option and request. 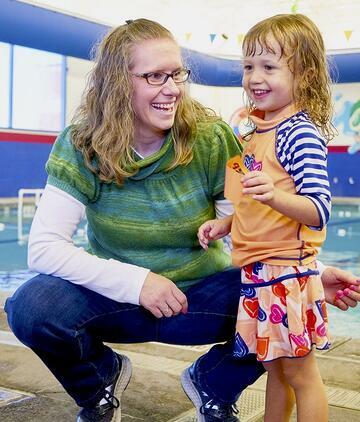 Why Franchise a Swim School? Swimming is a life skill that nearly every parent recognizes they need to teach their children. The market is stable and consistent. According to the Department of Health and Human Services in the National Center for Health Statistics (www.dhhs.gov), there are ~4 million babies born each year and over 50 million kids under 12 in the United States. When surveyed, 8 out of 10 parents believe it is critical to teach their children to swim. They believe swimming is a life skill®. The best part of this story is that while the swim school market is maturing rapidly, there is still room for hundreds, if not thousands, of swim schools to be introduced across the country. With the support and guidance of Streamline Brands, you can capitalize on this opportunity, deliver a high demand service to families, and make a lasting, positive impact on the lives of children. What Investment Level is Required to Open a Streamline Brands Franchise? We offer a variety of options to fit a variety of franchisee candidates. To open a hosted facility, individuals will need a minimum of $30,000 in non-borrowed, liquid capital (e.g., cash, marketable securities, stocks, etc.) along with an overall net worth (total assets minus total liabilities) of $300,000 to qualify. Additional financing is to be secured through third-party lending sources. Investment levels for dedicated facilities require more liquid capital and vary by market based on local real estate and construction costs. Why Franchise with Streamline Brands vs. Other Concepts? When you franchise with Streamline Brands, you are franchising with a true leader and innovator in swim school business. Not only are we are the only franchise system in the industry that provides the support of a back office team, we also the only brand family that combines learn to swim with elite competitive analysis instruction under one roof. Both create operational efficiency and cost structure efficiency that can't be achieved with any other system. We are deeply focused on your success and align with you in a way where a true partnership is created. The combination of our industry-leading brand, our brand partnerships with leaders such as USA Swimming®, Speedo®, IRONMAN® and major fitness chains such as LA Fitness®, and 24 Hour Fitness®, our exclusive back office services model, our varied investment options, our company culture and our industry-leading cost structure creates a franchise system that truly provides world-class value. With over two decades of proven success and over 1.4 million lessons a year, our focus is providing excellence and unexpected value to our franchisees and customers at every turn.